This beautiful villa is situated in the sought-after region of Grasse near Mougins. The villa is close to the town centre of Mougins as well as the glamourous Cannes and Nice. The house has been split into 2 separate apartments. The property boasts stunning sea and countryside views as well as a large swimming pool, a luxurious sauna and hammam and plenty of terraced spaces to enjoy the sunshine. The main apartment is comprised of a large reception room complete with a marble floor and a stone chimney. 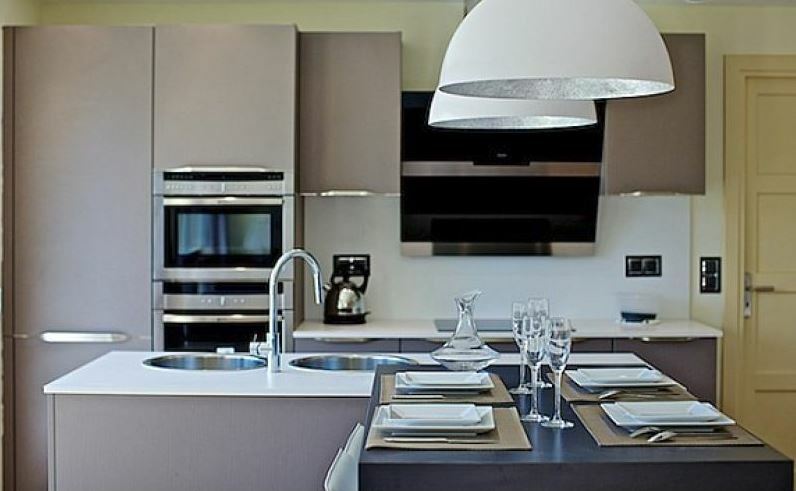 This room opens out onto a spacious modern kitchen with the latest cooking appliances. 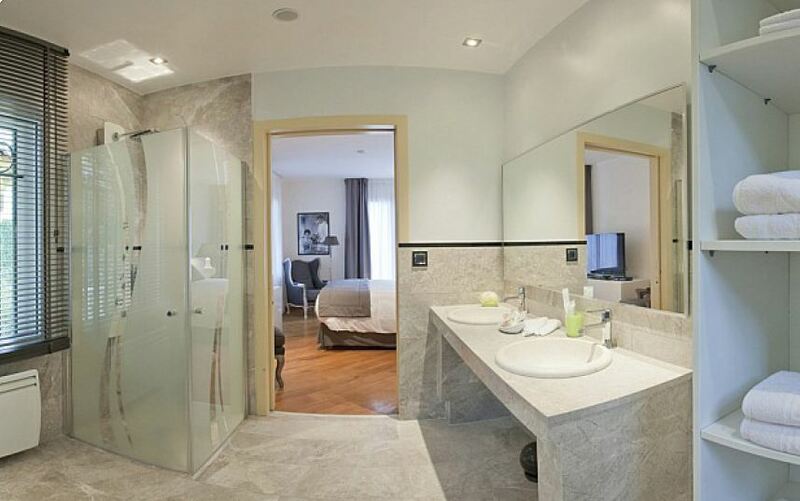 There are 4 tastefully styled bedrooms, each with an en-suite shower room. A lovely loggia includes a barbecue and a palatial terrace where guests can enjoy the splendid views of the sea and the Mediterranean sunsets. The second apartment is on the garden level of the property and features a large living room with an open kitchen. 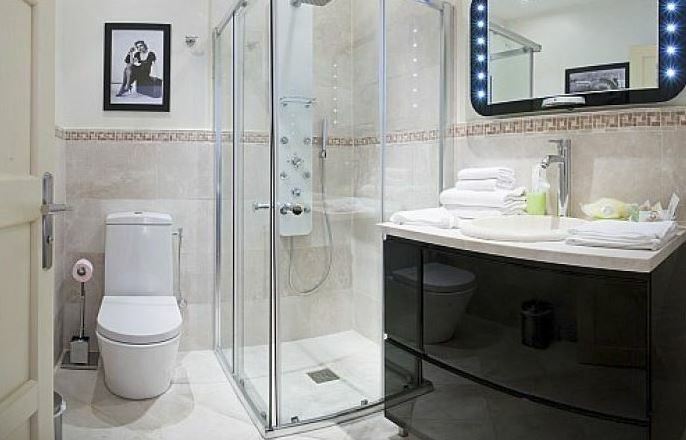 There are 2 bedrooms featured within this apartment, both having a shower room to use. Guests of both apartments have access to the swimming pool with a pretty cascade waterfall feature as well as a two 4-person jacuzzis, a sauna and hammam and extensive terraces for sunbathing or outdoor dining. All bedrooms have wooden flooring and high-quality bed linen to ensure the most peaceful nights’ sleep is acheived. The villa has easy access for guests with mobility impairments and features a lift that leads to the parking level. The villa is entirely air conditioned, secured with alarm systems and safes in the bedrooms and electric shades in the windows. All televisions have satellite channels and guests have access to wifi and iPod docks.